A swashbuckling extravaganza of nineteenth century pianism and a veritable contribution to Romantic Revivalism. 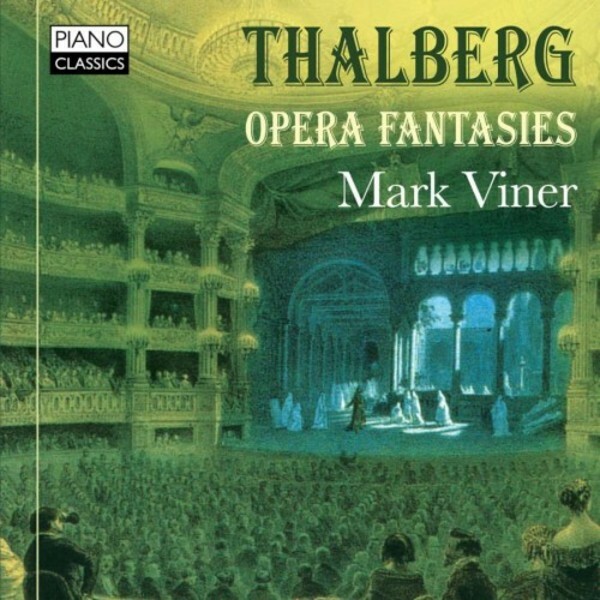 This, Mark Viner's d�but recording, presents the operatic paraphrases of the neglected pianist‐composer Sigismond Thalberg, aristocratic rival of Liszt and innovator of the so‐called 'three‐hand effect'. Here are some of the very finest of his works - a music of opulent grandeur which draws upon all the heady romantic rhetoric and dramatic narrative of the opera house whilst being sumptuously conceived for the piano. A tour de force of virtuosity and an evocation of an era. Mark Viner is one of the most exciting young British pianists of his generation. 1st prize winner of the 2012 Alkan‐Zimmerman Competition in Athens, he is also the Chairman of the Alkan Society and is steadily gaining a reputation for his bold championing of unfamiliar pianistic terrain.